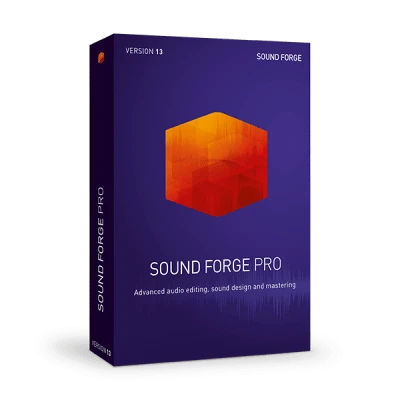 SOUND FORGE meets the highest creative demands, whether you're an artist, broadcaster or sound designer. With improvements to several features and seamless workflows, SOUND FORGE is the perfect choice for professional projects. Download the trial version now and experience state-of-the art audio editing tools for free. for music and audio editing. Start recording with a click using the redesigned recording dialog. Select between threshold, MTC or timestamp recording via the recording options. Record on up to 32 tracks simultaneously and in ultra-high-resolution audio in 64-bit/192 kHz. Includes an impressive range of editing functions for advanced editing: convert regions to events, lock event markers, region markers, and envelope points to events, and automatically ripple successive events forward in time while editing. Plug-ins from specialists such as iZotope® and zplane. SpectraLayers Pro now seamlessly integrated for comprehensive spectral editing. Everything you need in one fully customizable user interface. Master your audio and video projects with effects from iZotope®. Create DAO CD masterings to Red Book specification. Or export multichannel files in surround AC-3 format using the included Dolby Digital AC-3 plug-in.